What Do Tracy Morgan and Lawyer Doug Landau Have in Common? - Abrams Landau, Ltd.
What Do Tracy Morgan and Lawyer Doug Landau Have in Common? 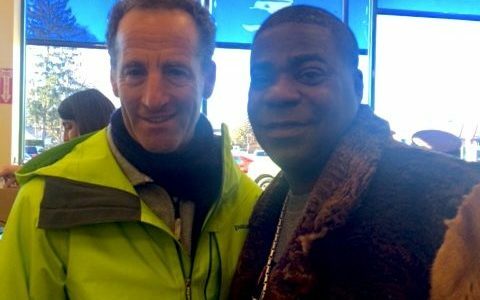 What do Tracy Morgan and Doug Landau have in common? They both sustained traumatic brain injury (TBI). Lawyer Landau’s double concussion was minor in comparison to what Morgan survived. The fact that Morgan survived being in a coma for 10 days is truly amazing. The actor/comedian and Landau compared notes while the Herndon injury lawyer was in New Jersey visiting the family during the New Year’s holiday. Landau and Morgan discussed the Lids on Kids program Landau started in Virginia to put free bicycle helmets on the heads of children who cannot afford them. Landau visits local schools to teach children about head injury and bike safety to try to prevent unnecessary head injury and brain trauma. Morgan described some of the details of his experience and agreed with Landau’s analogy of a brain injury healing process being like a computer hard drive trying to reboot itself. It’s exhausting and like walking through Jell-O, or wearing a dentist’s lead vest. On June 7, 2014, Morgan was in a limo bus when it was rear-ended by a Walmart truck driver—who hadn’t slept in 28 hours—on the New Jersey Turnpike. The crash killed comedy writer James McNair and injured several other passengers. Morgan suffered a broken leg, nose and ribs and was in a coma for several days. When he woke up he was blind for six days and he still doesn’t remember the accident or initial recovery. Walmart agreed to settle a civil lawsuit brought on by Morgan and the other victims of the crash. If you or someone you know has sustained TBI, we recommend you visit Brain Injury Services for helpful resources and programs. 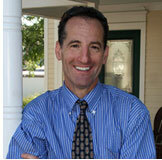 Why was Doug Landau Sent to the Principal’s Office at Langston Hughes Middle School Last Week?